The 'Old Rectory' and 'Rectory Close' now occupy the site of No. 49, while the new Rectory is at No. 47. 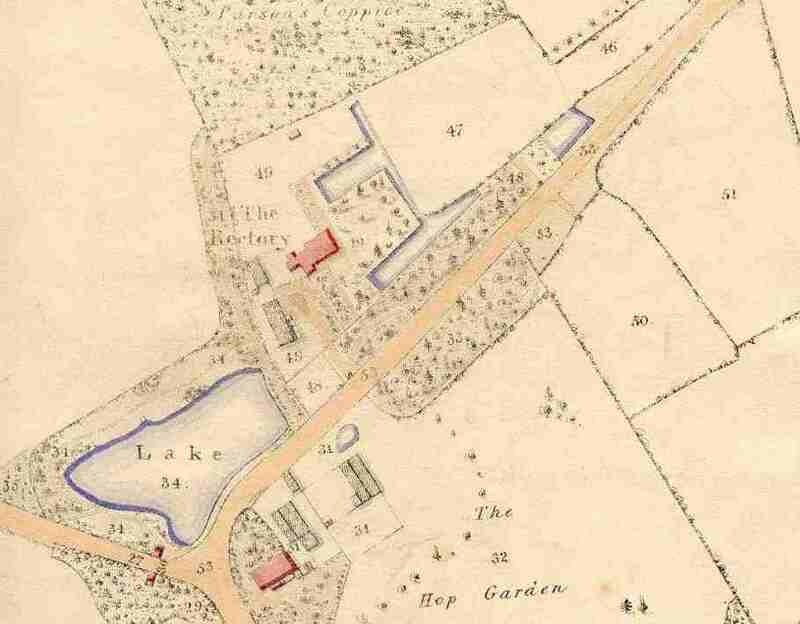 The Lake marked '34' still exists, but is now to the south of the stub of Church Lane that leads to Arborfield Hall Farm. Arborfield House is at No. 31, while the 'Hop Garden' is now on the other side of the re-aligned Church Lane. This view shows the original Rectory which pre-dates the 'Old Rectory' on the same site. Roads are now aligned differently.